Once upon a time, it cost US$4000 to buy a terrible phone. Now an excellent device costs as little as US$100. While developers struggle to produce new gimmicks and technology for their top-end handsets, the quality of entry-level smartphones is improving at an incredible pace. Here's why you should consider a 100 dollar smartphone for your next device. There are some apps that I consider essential to a good smartphone experience, and if a US$100 phone couldn’t run WhatsApp, Skype or a web-browser, I wouldn't even be writing this article. But most modern smartphones run most of the same apps equally as well, whether they cost US$800 or US$100. A cheaper phone might struggle with some of the more graphically intensive games, but the majority of popular or common apps are built to work with as many devices as possible, and that includes sub-US$100 smartphones. Even a couple of years ago, it was hard to find a cheap phone with a good camera. Even cameras on mid-range phones struggled occasionally, producing poor, grainy images in low light conditions (I still think the Nexus 6 camera is substandard). Thankfully, manufacturers soon became aware of the importance that most people placed on the cameras in their phones, and set about solving the problem. 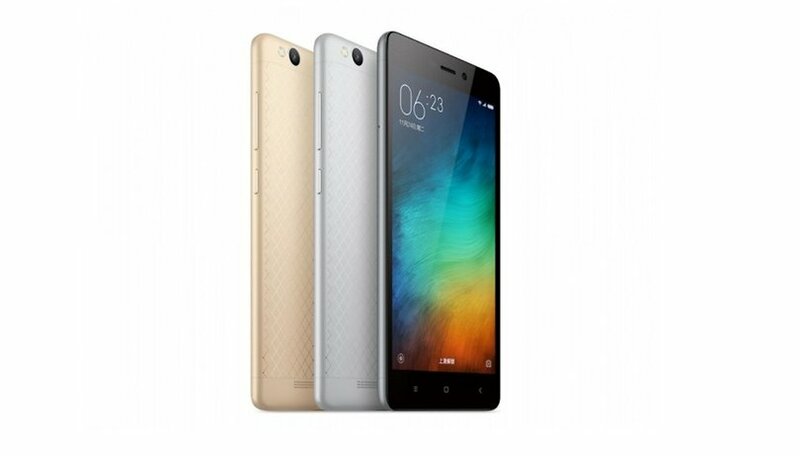 As we plunge into 2016, the just-over-US$100 Xiaomi Redmi 3 is set to arrive with a 13 MP rear camera and 5 MP front camera. Like the phones themselves, entry level camera technology is improving fast, and if you want to do is take simple shots to share with your friends and family, you can now do that on a budget. Phones costing US$100 or less aren't exactly new, but in the past, cheap handsets often looked terrible. That's not the case anymore and the introduction of the US$106, metal unibody Xiaomi Redmi 3 is arguably the tipping point where the low-end goes premium. This would have been unheard of just a couple of years ago. Whether Xiaomi is really profiting from the Redmi 3 or if it is part of a huge marketing campaign, I don’t know. But it’s great for us consumers because we're being offered well-designed, aesthetically appealing devices at more attractive prices than ever. If you want to use your phone to play HD games, shoot 4K movies or watch Full HD video, or you're serious about photography, you will need to spend more than 100 bucks. But if you just need a phone to take suitable pictures, install the latest apps and look good? Well, it’s 2016, people, and now you can have all that and more for a very reasonable price indeed. That’s my take on phones in the sub-US$100 price bracket. What’s yours? Let me know in the comments. Yes Xiaomi will cost more if imported outside of China. Instead of Xiaomi, how about ZTE ZMAX 2 for $69 at walmart? This is pretty good phablet with 2GB of memeory, and even beats Xiaomi in bang for bucks! I am in the UK and I am loving my Lenovo K3 Note I bought for around a £100. Lenovo phones sell well in the UK as people are use to the Lenovo tablets. I would not buy Samsung again after having my K3 Note it is fabulous. It runs Lollipop 2Gig of ram, 16 GB hard space, Quad Core something or other. Decent specs and camera seems fine. Personally, I think that the number of really good phones in the $100 range is very low. There are the occasional gems but most aren't. There are a lot more really good phones in the under $200 range and that's where I'm going to be looking for next phone. I thought so too, but ZTE ZMAX 2 is just amazing phone for $69 (at walmart - no contract). Completely destroys conventoinal wisdom what you can't get a great smart phone for less than $100! So are any of these Chinese phones actually going to be available in the US? Hey Trevor they're all available in the US right now. All you have to do is go on-line pick out your shiny new device and order one. The best part is most sellers even offer free delivery right to your front door!!! ZTE ZMAX 2 is available at walmart for $69. And it's better bang for bucks than Xiaomi Redmi. I'd be happy to buy a lower cost phone, but it seems none have comprehensive support (telephone, software, accessories etc) outside of China. So, as a European Samsung user who has thus far had to send back every phone I've ever owned, and experienced appaling delays even though they have so called local support, I cannot see myself spending out on a cheap one until I am confident I can get it sorted quickly WHEN it goes wrong (rarely IF!). I totally agree we are being ripped off, but low price is just the tip of the iceberg of mobile phone ownership. I know top end smartphones are to much money, but I've bought alot of cheaper Chinese products, they look good and have most of what the top end phone's have but they invariably go wrong and don't work as they should so i don't bother now, the old saying you get what you pay for? The article does only one thing for me and that is to confirm that Apple, Samsung, etc are just a rip-off. Most phones are made in China so labour costs are really more than bargain low. Even so-called higher spec components are made by machines in the millions which really does not have to translate into much higher end user pricing. The other problem is the inherent vanity of end users. Just like 4X4 SUV`s not even 5% of the features and abilities of high-end phones and gadgets are used. it is just to be able to say "I have........."
Hi Hendrik, the reason the BIG brand products cost so much more is sadly because of their huge advertising expenses which they so generously pass on to us the lowly end user. it is unbelievable to me how good, looks and specs, the redmi 3 appears to be. I can't imagine being disappointed with this phone and I for one plan on buying it. check out Xiaomi phones. Devices launched even 2yrs ago are getting Marshmallow update and those devices cost below 150$.